I want to add LEDs in the rear for my turnsignal, brake, fog and reverse light. Already have the regular BMW LED taillights. I am a bit confused how many PY21W and BA15S i need to replace my regular bulbs, does anyone know? I did take a look at realoem (http://www.realoem.com/bmw/enUS/showpar ... Id=63_1319) and it says 4x PY21W, is that correct? Also, should i get red PY21W for brake and fog or can i just use whites? Turn signals front and back is PY21W BA15s amber. You need 4 total. For the rear, all the bulbs are P21W BA15s white. You need 1 total. For the rear, all the bulbs are P21W BA15s red. You need 3 total. I decided not to go for china led but get Osram for more quality and based on what i saw on youtube vids. If you don't mind me asking how much did they set you back? And any recommended vendors? I got them on ebay, think it was a special offer and i paid £20 for a pair. 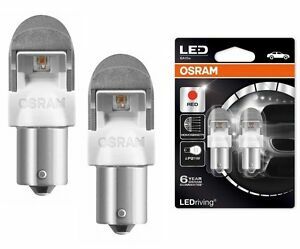 They are OSRAM LEDRIVING from the store performance bulbs in the UK.